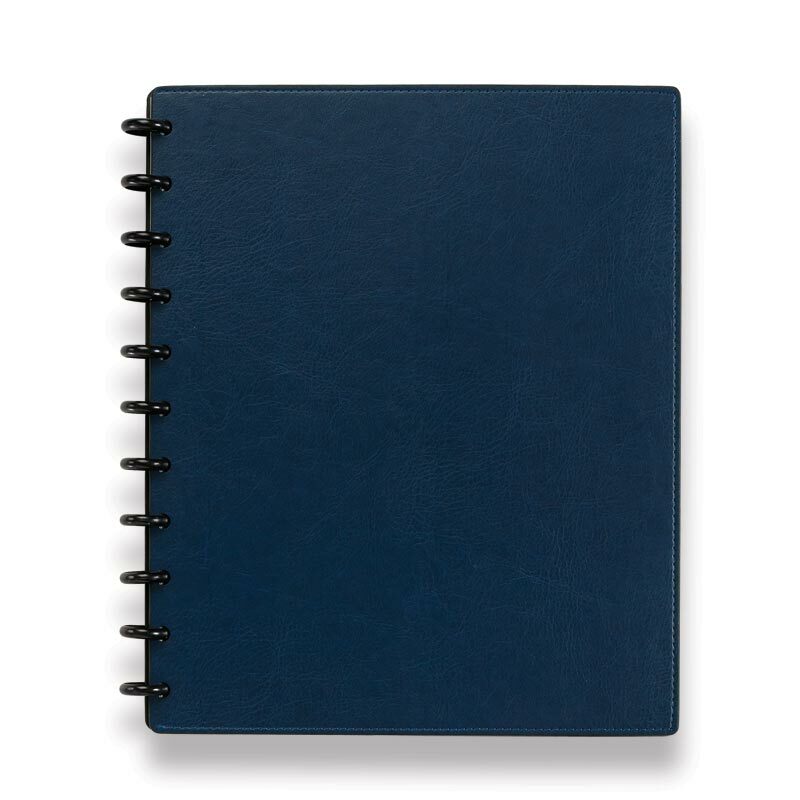 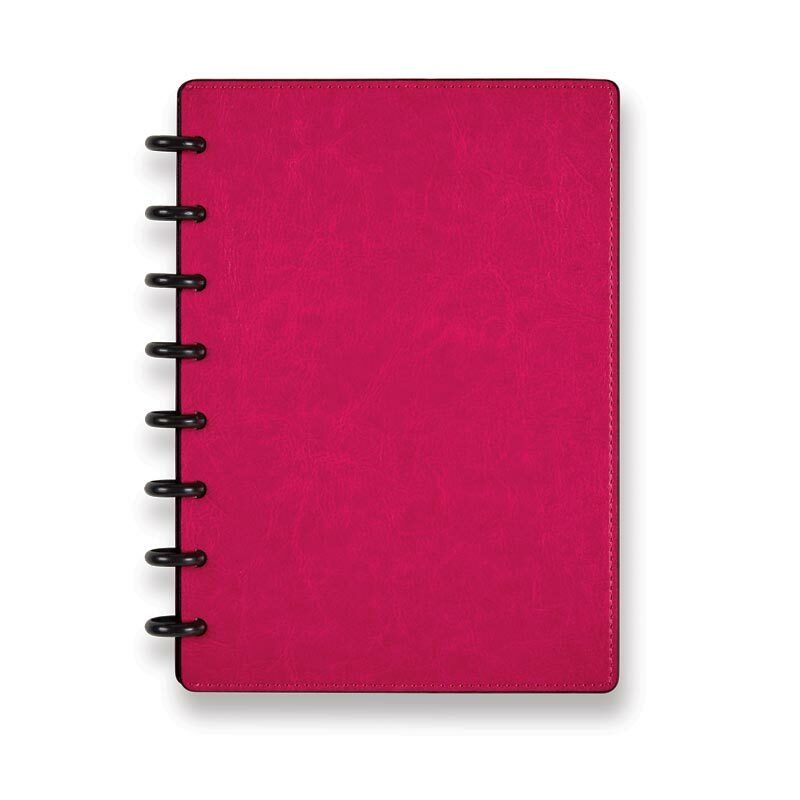 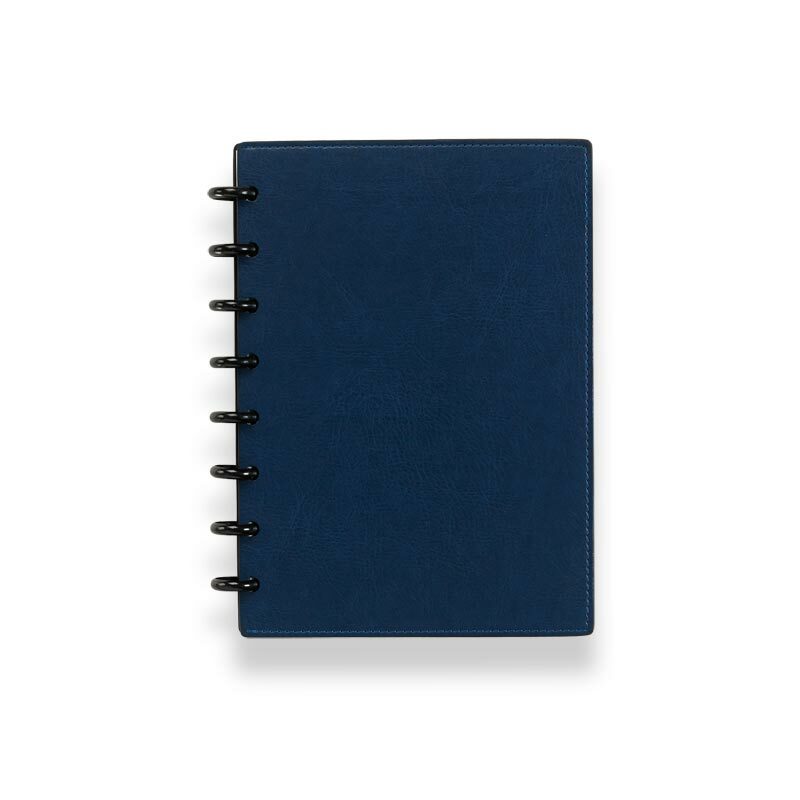 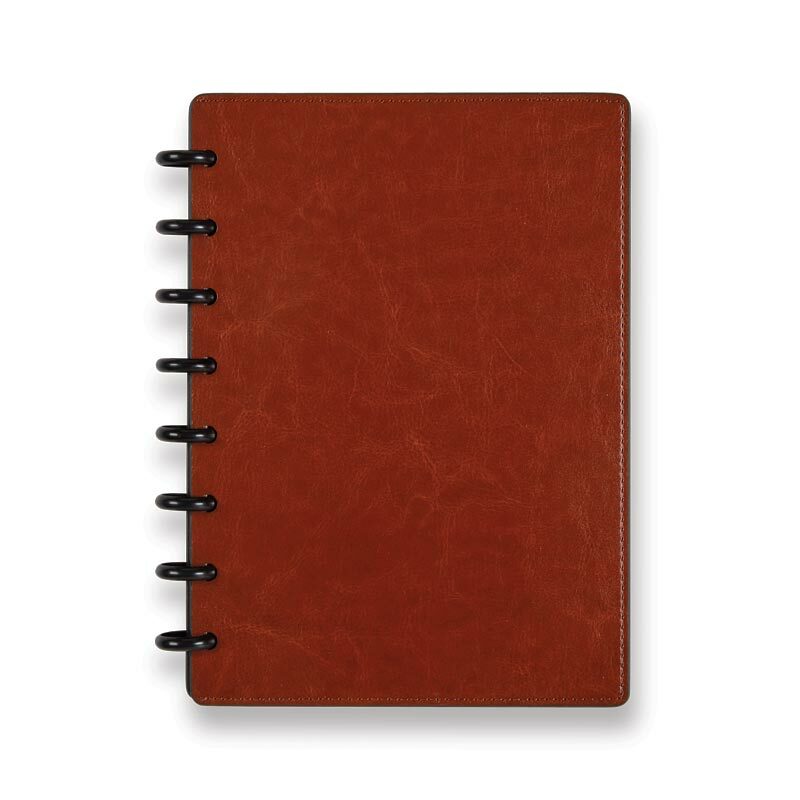 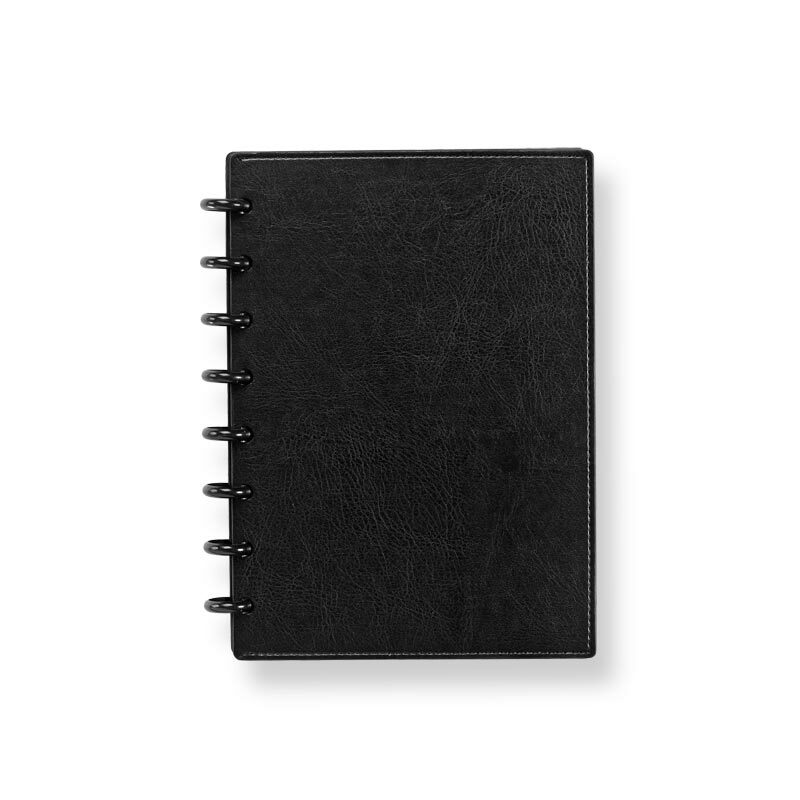 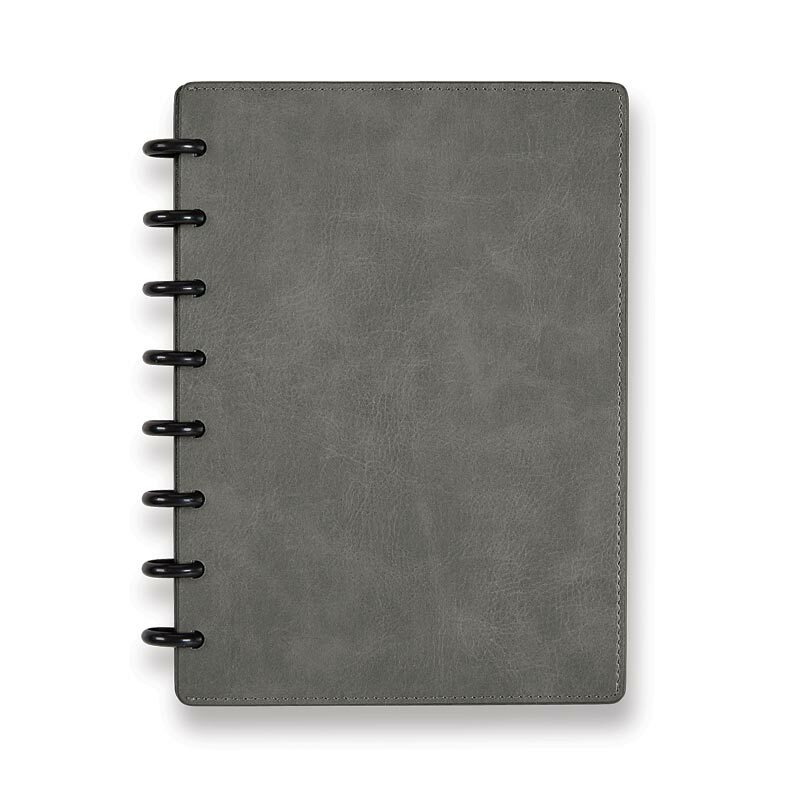 Our slim and flexible Circa® Sliver notebook design is now available in a smooth version of our durable LevTex™ premium leather alternative, and in a variety of new colors--plus, we’ve added interior pockets for cards and loose papers. 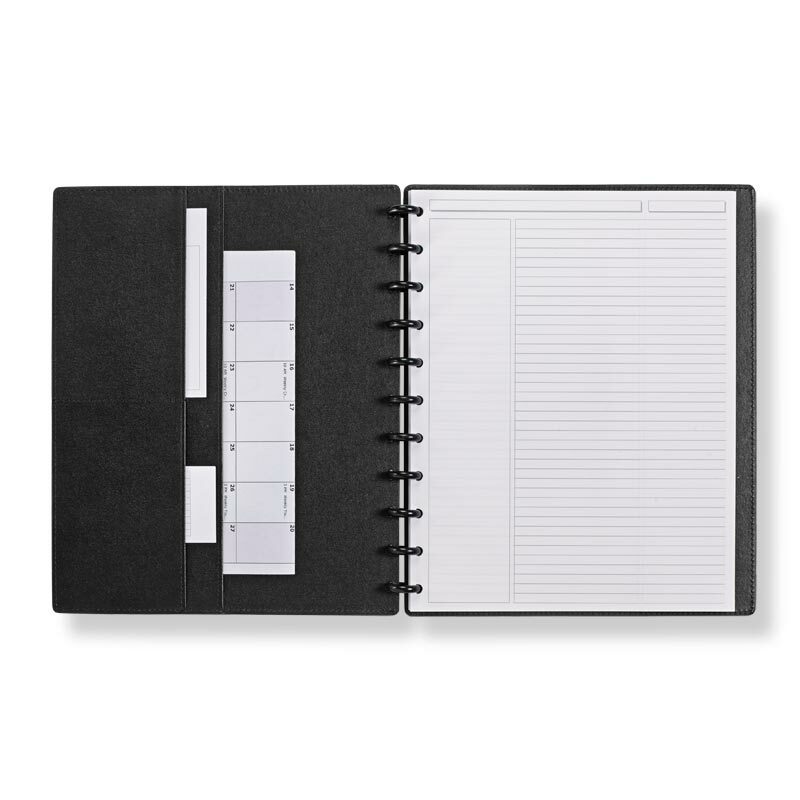 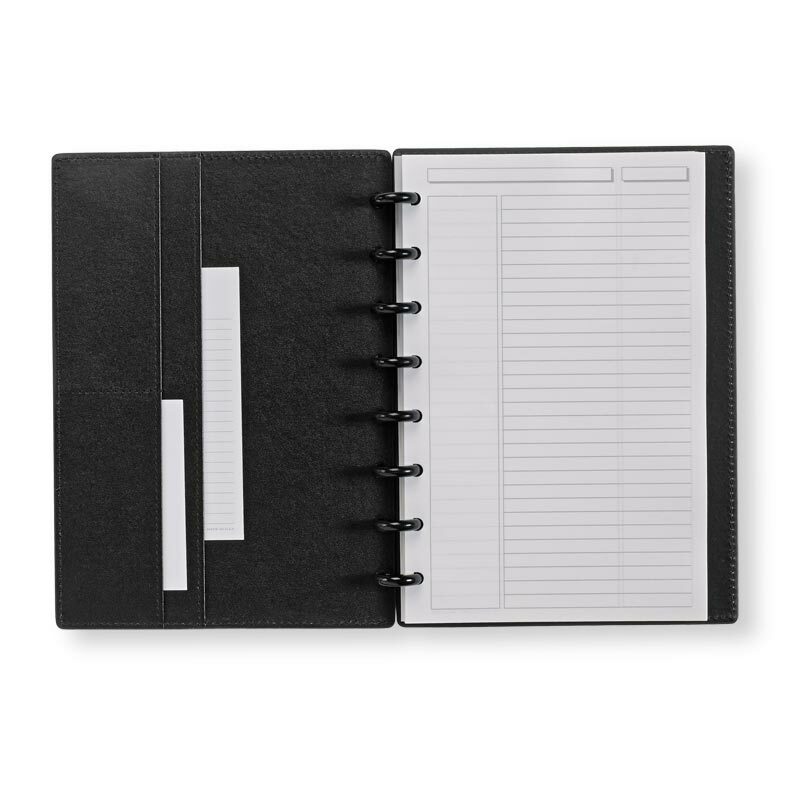 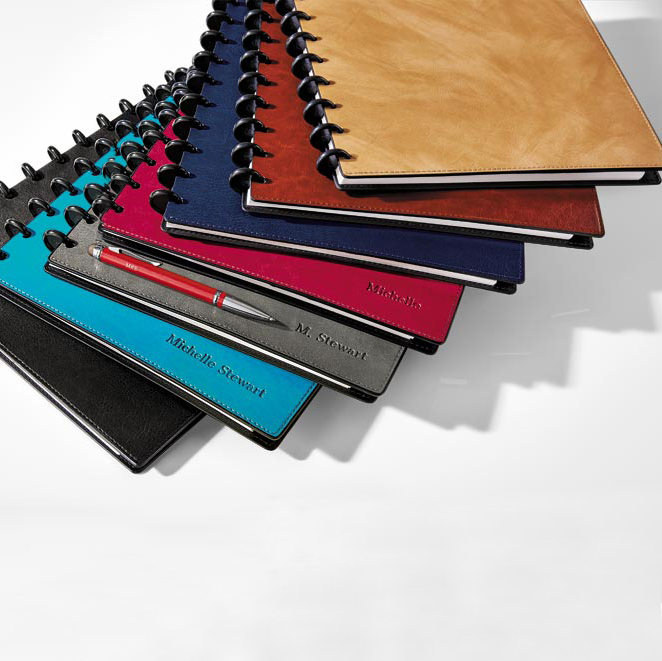 With pages you can remove, rearrange and transfer quickly and easily, the award-winning Circa® disc-bound notebook system offers note-taking convenience and versatility. 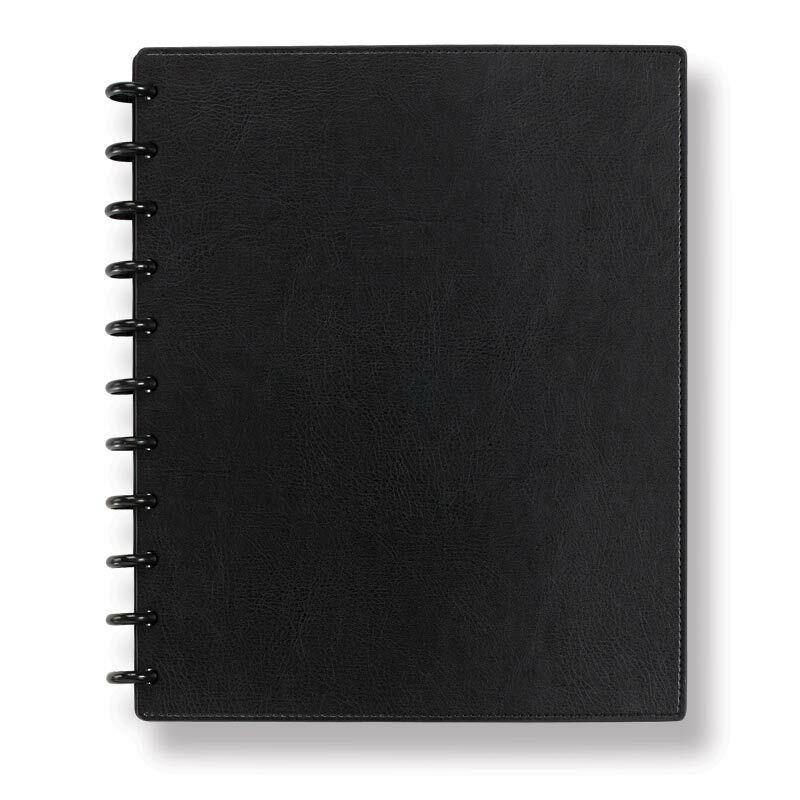 Incomparable quality and an unmatched variety of accessories, refills and tools set Circa® apart from other custom notebooks. 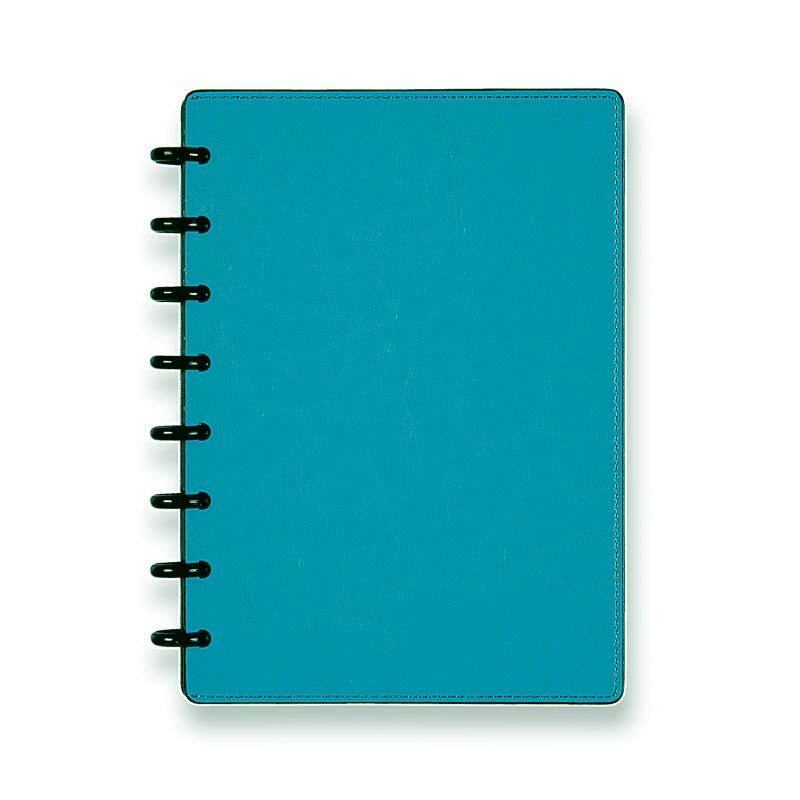 Available in aqua, black, cherry, cognac, royal blue or slate.